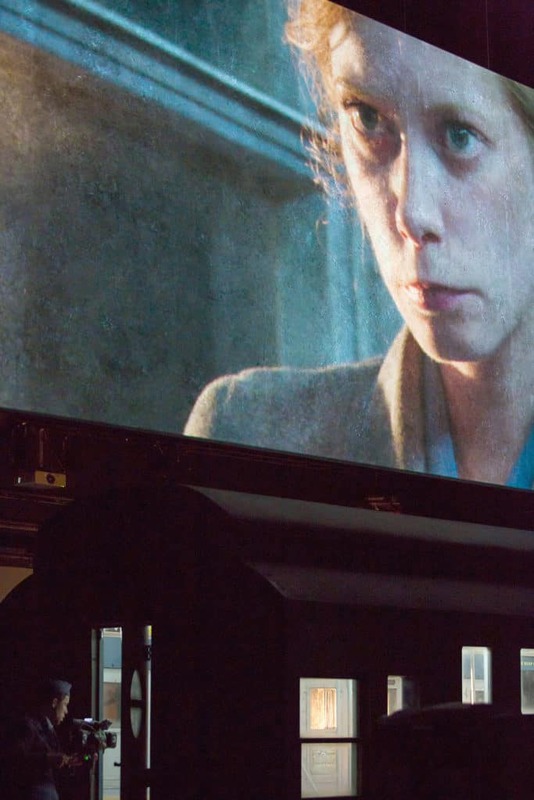 For over a decade 59 Productions has been working with internationally acclaimed director Katie Mitchell on a theatrical technique called “Live Cinema”, in which a seamless, cinematic-quality film is shot in real-time on stage in front of a theatre audience. Forbidden Zone – which premiered at the Salzburg Festival in July 2014 – is arguably the most ambitious and complex of these pieces to date. 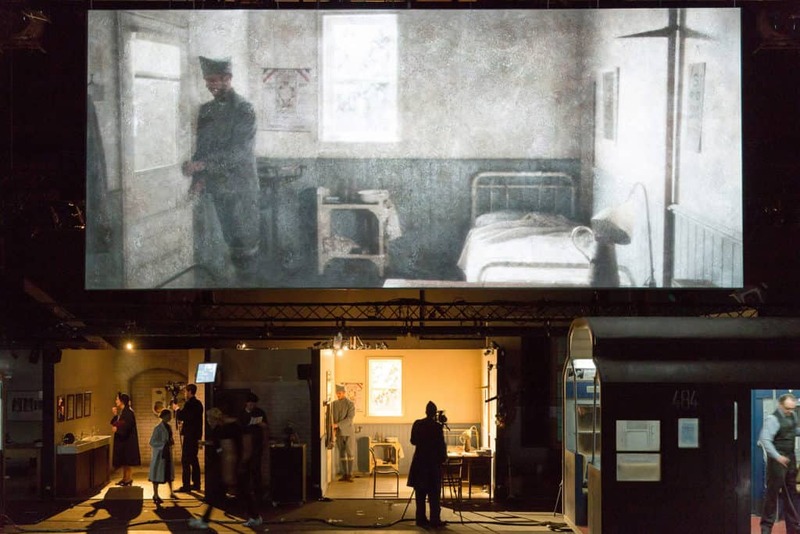 With multiple narratives crossing two time zones, the piece tells the story of Fritz Haber, the inventor of the very first chemical weapons during the First World War, and the effect that it had on his family over three generations. 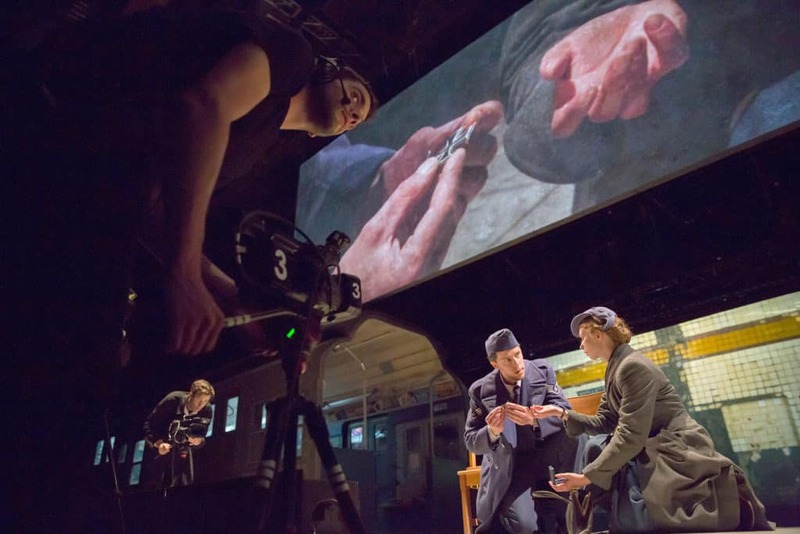 With video direction by 59’s Leo Warner, the show includes elaborate film and stage sets (designed by Lizzie Clachan), which include several detailed period rooms, as well as a moving 1940’s Chicago subway train that is brought to life through elaborate sound, lighting and in-camera effects.